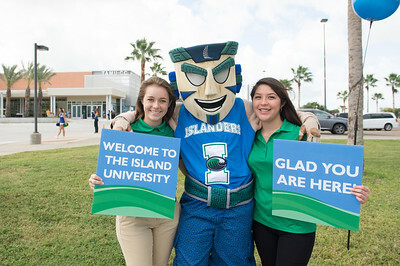 Emily Brunkenhoefer(left) IZZY and Kassandra Vela welcome guests as they arrive for State of the University. 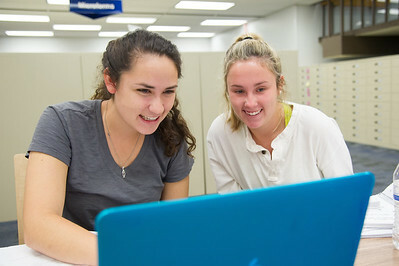 Student Rachael Har and Joelle Boudouris work together on their problem in Microbiology. Kennah Leal work on her Statistic lab. 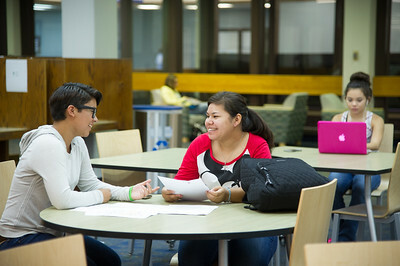 Students Amber Layton and Ana Cerda work together on analyzing an English composition essay. Angelica Rodriguez and Abby Post hang out between class. 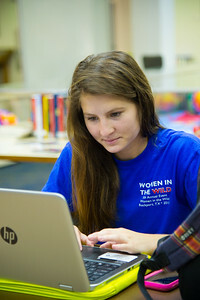 Marissa Pryor work on her Victorian Literature group project in Starbuck cafe. 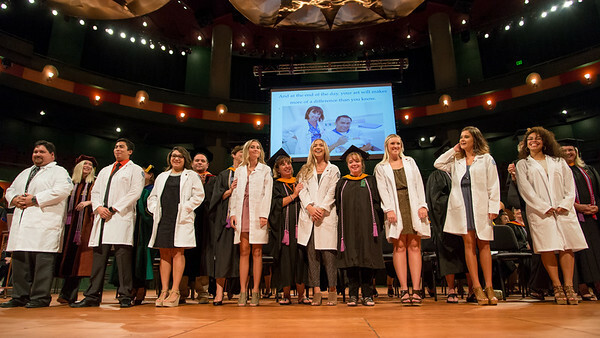 Monica Guardado(left), Francisco SL. and Jamie Jennett pause for a picture before they go to class. 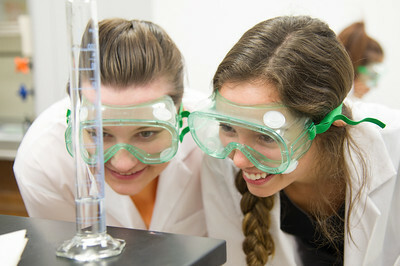 Teresa Leute and Alison Strickland co-operate on recording the amount of distilled water. 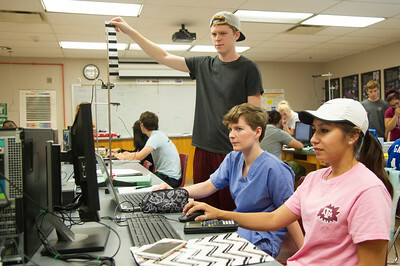 Christopher Wright, Lawren Cantu and Bianca Barrera use Picket Fence and Photogate to measure the acceleration of free-fall object. 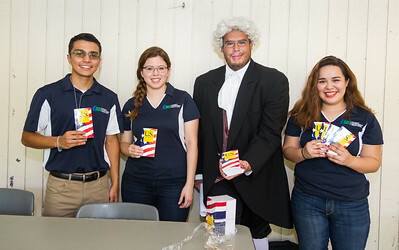 Benjamin Franklin (Victor Hinojosa) and GSA students Richard Torres(left) Avery Pantoja and Carolina Ouvares hand out Constitution booklets near the library to students for Constitution week. 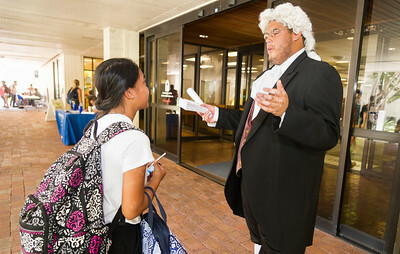 Benjamin Franklin (Victor Hinojosa) refreshes a student on her Constitutional history and gives a quick quiz to see how much she can recall about his (Ben Franklin's) life. 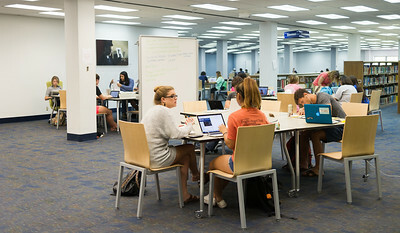 Studious students embrace the new Mary and Jeff Bell Library furnishings as it gives them more space for their materials as well as provides more comfortable, modernly designed seating. 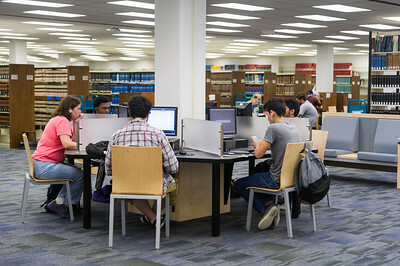 Students utilize the new computer spaces available in the Mary and Jeff Bell Library. 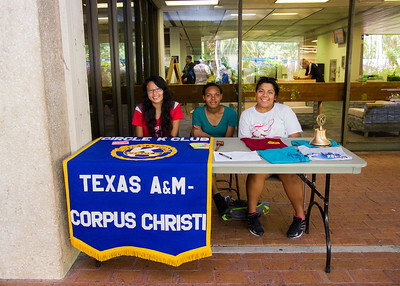 Students Caitlin Silva, Jasmine Thompson, and Amitie Maldonado work to recruit members for Circle K International, a student volunteer organization. 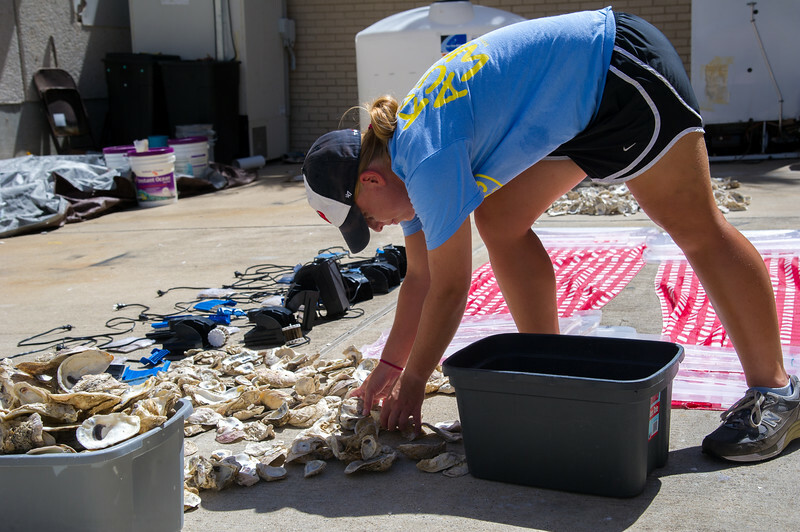 Graduate student Meredith Diskin cleans up some of her supplies she is using for her Master's Thesis Experiment over Predation Intensity. 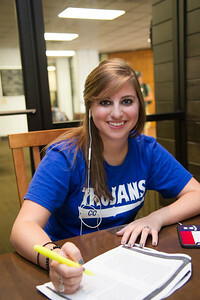 Alex Hartenstein uses the Tejas loungeroom to study for her bio-chemistry class. 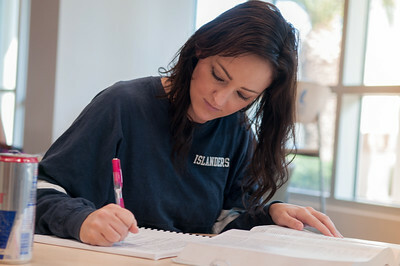 Genesis Castillo-Torres takes a break after classes in the Tejas lounge room in the University Center. 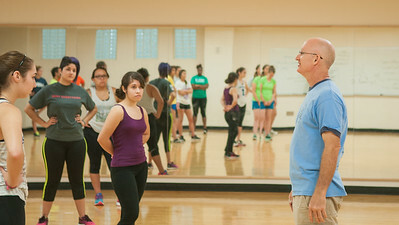 Professor Paul Bystedt during his self-defense course in the Dugan Wellness Center. 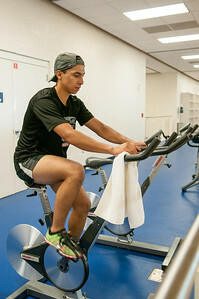 Christopher Suarez takes some time to work out before his composition class in the Dugan Wellness Center. 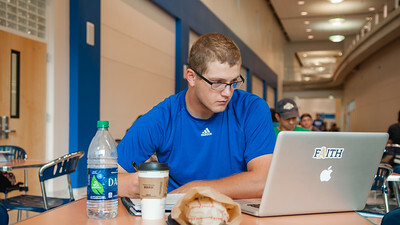 Brian Allec studies in Island Hall for his Health Care Finance class. 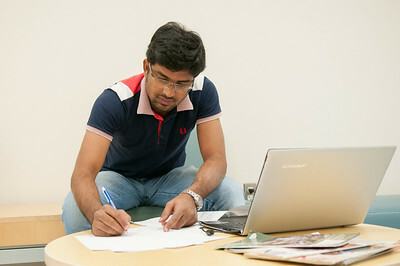 Fawwad Hussain works on his advanced computer architecture studies in Island Hall. 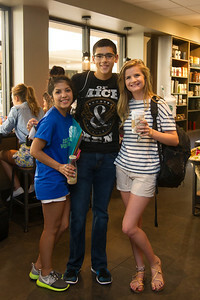 Stephanie Lozano(left) and Caryn Garcia take a break from their studies for a portrait in the Starbucks cafe. 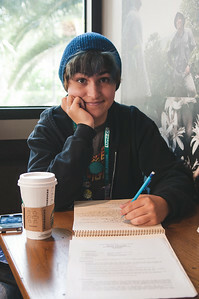 Chee Wilson studies for phycology class in the Starbucks cafe on campus. 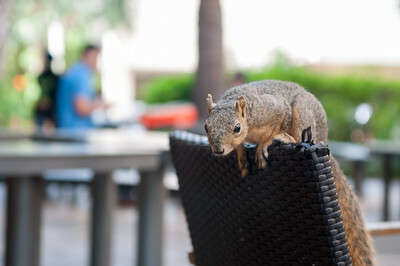 Campus squirrel pays a visit to people taking a break outside of Starbucks. 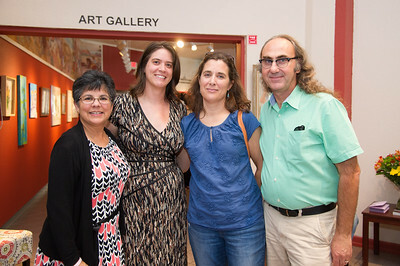 (Left to rigth): PAt Quiroz, Dr.Kelly Bezio,Dr.Susan Murphy and Tom Murphy at the event call :A series of film screening and exhibit tour about Latino American : 500 years of History. 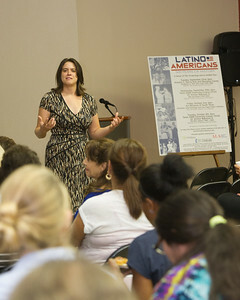 Dr. Kelly Bezio holds a discussion on Latino American as apart of Hispanic Heritage Month 's Film Screenings event.